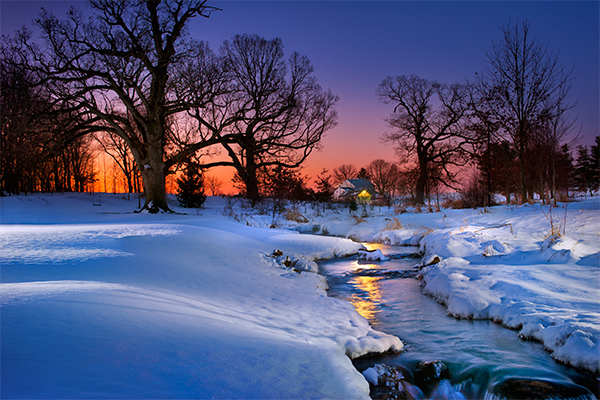 This entry was posted in Landscape, Light Painting, light painting, Photography, sunrise, Winter and tagged lancaster county, Landscape, Light Painting, Photography, Snow, stately trees, stream, Sunrise, trees. Bookmark the permalink. haha 🙂 and I was precisely talking about the “majestic trees” photo. I meant that image is the result of maybe 10 different shots all combined in the final result. It was worth the finger numbing experience. Absolutely beautiful. Hope you post on Flikr. I always look forward to seeing your photos – you are quite the artist. Thanks Joy, I was pretty happy with my result on that one.